Once one of Southeast Asia’s most relaxed countries for regulatory compliance, Cambodia is rapidly stepping up enforcement measures, with steep fines for those who ignore the warnings. The Asian Development Bank has announced an additional $30 million in grants and $10 million in loans to Cambodia as part of the organization’s Green Climate Fund. The labour minister said on Monday that Cambodia’s garment sector grew by 4 percent last year to reach $7.6 billion, which would mark a slowdown in the growth rate compared to previous years. Cambodian police on Monday (Mar 12) arrested 100 Chinese people suspected of running a telecoms scam to defraud victims in China, a senior official said. Time for the U.S. to rethink its approach? 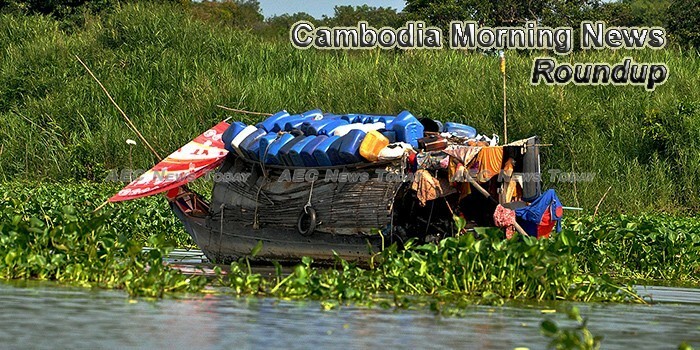 For the past two decades, Cambodia has experienced rapid economic growth. Broad access to global markets and an economic policy that openly courts foreign investment means the country’s economy is expected to continue growing. A new cement factory in Battambang province will come online on Friday with an annual production capacity of 1.7 million tonnes of cement, according to Mines and Energy Minister Suy Sem. Cambodia’s Beehive Social Democratic Party (BSDP) has reelected its founder Mam Sonando as party president in the lead up to general elections widely seen as illegitimate, following the Supreme Court’s ruling to dissolve the main opposition Cambodia National Rescue Party (CNRP). Supporters of Cambodia’s banned opposition say they will push ahead with protests outside the ASEAN summit in Sydney this weekend despite threats from local loyalists of Prime Minister Hun Sen, who warned he would follow home and “beat” protesters who burned his effigy. Cambodia’s home-grown tech scene has increasingly faced competition from international players. The Post’s Robin Spiess sat down with Shivam Tripathi, co-founder of online ticketing platform CamboTicket, to discuss his firm’s regional expansion plans and how he seeks to cooperate rather than compete with other companies. In February, Cambodia announced the establishment of its very first marine national park, covering 524 square kilometers (202 square miles) in the Gulf of Thailand. Authorities in Cambodia’s Kratie province on Monday released eight villagers who were detained amid a violent clash over a land dispute, on the condition that they refrain from holding future demonstrations, according to one of those held. Thai and Cambodian police jointly arrested a call center gang, targeting Thai people.